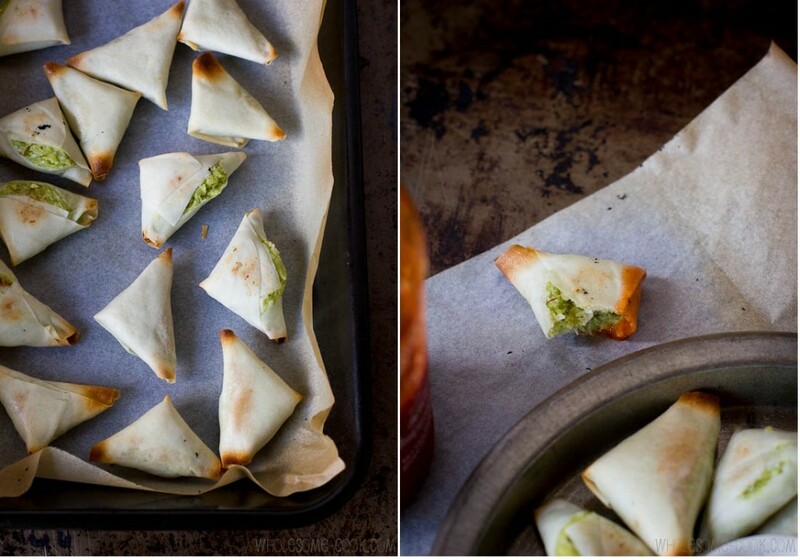 As Featured in the May June 2014 Issue of Nourish Magazine: These 5 Ingredient Coconut and Edamame Samosas are a healthy and tasty alternative to the traditional samosas. Inspired by a visit to Yullis, my version is made with rice syrup and baked until crisp under the oven grill. Perfect for an afternoon snack, an out-of-the-ordinary starter or even dessert! Last Friday night I managed to venture out into the big smoke to attend a vegetarian dinner organized by Megan as part of the Meat Free Week. Venue of choice was Yulli’s in Surry Hillls, a funky cafe come bar come restaurant for plant-based food lovers. While the seats at the establishment are not the most comfy bottom rests in the world, the food is innovative, flavourful and all vegetarian. In fact they have a full separate vegan menu and an extensive gluten-free menu as well! We chose to order the banquet menu to allow ourselves a wider tasting opportunity (you can read more about our experience thanks to Megan here). There were many of “oohs” and “aahs” exclaimed as the food began to arrive, none least for the Edamame and Coconut Money Bags. Although I found the originals a smidgen too sweet, I liked the idea of the filling and thought they’d be a perfect snacky-snack to make at home. Since I am yet to discover what that edible “string” is, used to tie them up into place, I decided to practice my samosa skills instead. I laid off the deep fryer too, in place of the oven grill which crisped up the pastry skins. 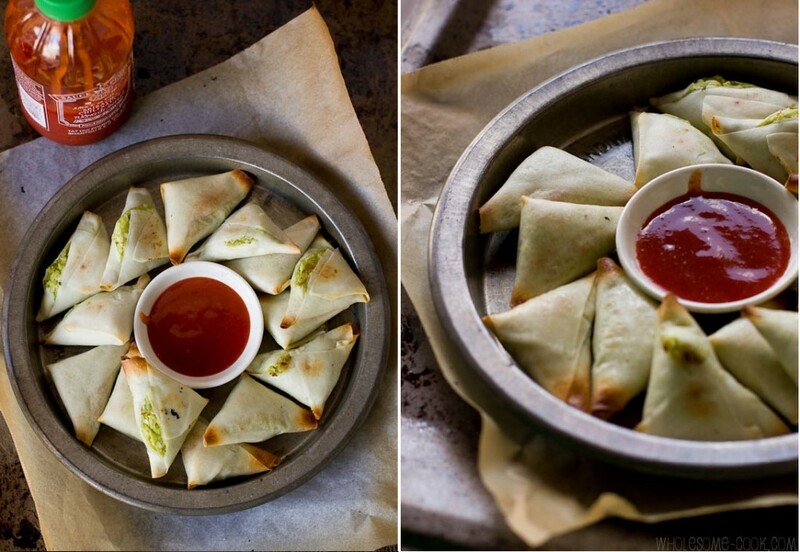 A few of the samosa triangles burst at the seams, but that only made for a more rustic appeal. A great healthy snack for a lazy weekend, really. So moody and rustic. 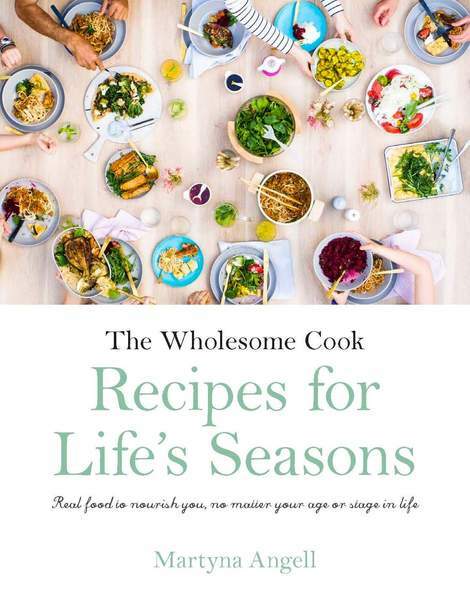 And, before I forget… Calling all Wholesome Cook fans! 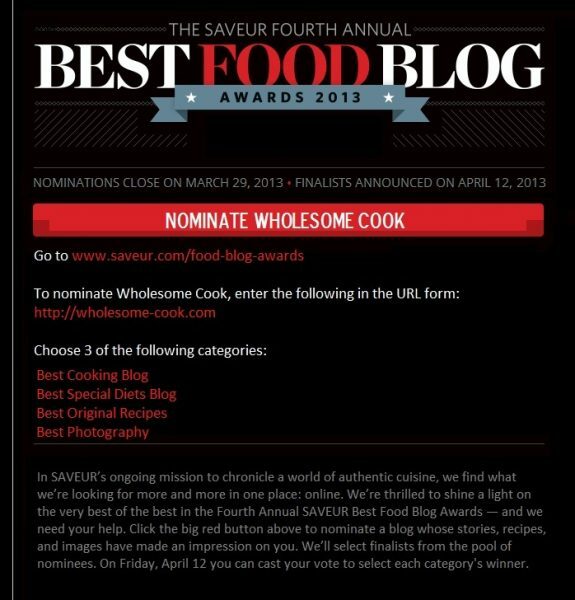 Nominations are now open for the SAVEUR 2013 Best Food Blog Awards. If you have a moment and love what you see at Wholesome Cook, I would love for you to head over here and nominate Wholesome Cook for the award in any of the three or the four categories listed below. Also, Wholesome Cook made this Top 10 list of Aussie Health Bloggers recently. Voting is underway to select the top blog. Feel free to check it out and cast your vote here. Big hugs and lots of thanks for your support! 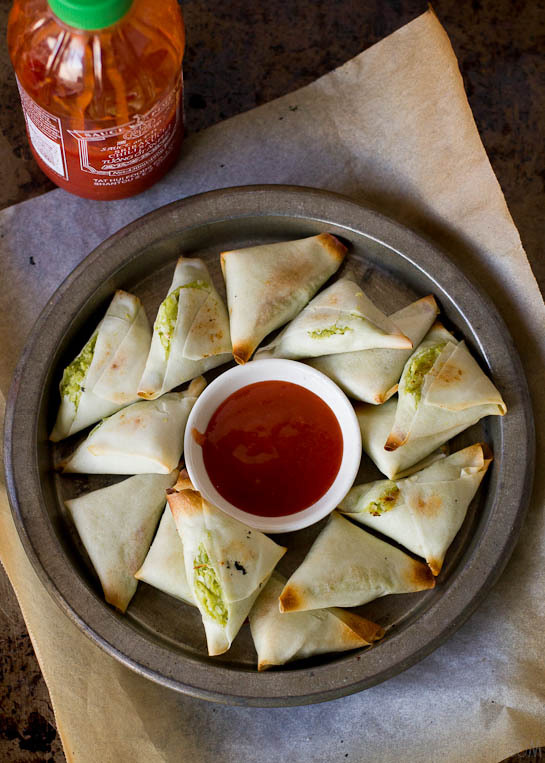 These 5 Ingredient Coconut and Edamame Samosas are a healthy and tasty alternative to the traditional pastry triangles. Inspired by a visit to Yullis, my version is made with rice syrup and baked until crisp under the oven grill. Perfect for an afternoon snack, an out-of-the-ordinary entree or even dessert (use a little lime juice instead of chilli sauce)! Makes 14 samosas. Place 1 cup frozen shelled edamame into a saucepan filled with water. Place pan over medium high heat and bring water to a boil. Reduce heat to medium and simmer edamame for another 3 minutes. Drain and transfer into a bowl of a food processor, if using, or a 2 cup capacity jug, if using a stick blender. Blend until edamame is smooth. Add coconut, water and brown rice syrup. Mix well to combine. Cut each sheet of the spring roll pastry in half across to form 2 even-sized rectangles. Place 2 teaspoons of edamame coconut filling into one corner of each pastry. Fold the pastry over to form a triangle at one end. Gently press the filling to the edges of the triangle and fold the triangle onto itself in half. Roll up the triangle (long edge). Brush remaining pastry with water and fold over the flaps. Repeat with the remaining samosas. Bake in an oven grill pre-heated to hot for 5 minutes on each side, or until the pastry is starting to turn golden brown around the edges. 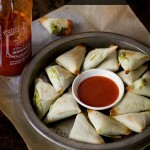 Serve Coconut and Edamame Samosas with some sweet chilli or sriracha sauce. Voted and I’m still thinking of meat-free but haven’t quite made the hop. Impressive that you went home and recreated these (I’m just thinking of going back to Yullis to have them again). 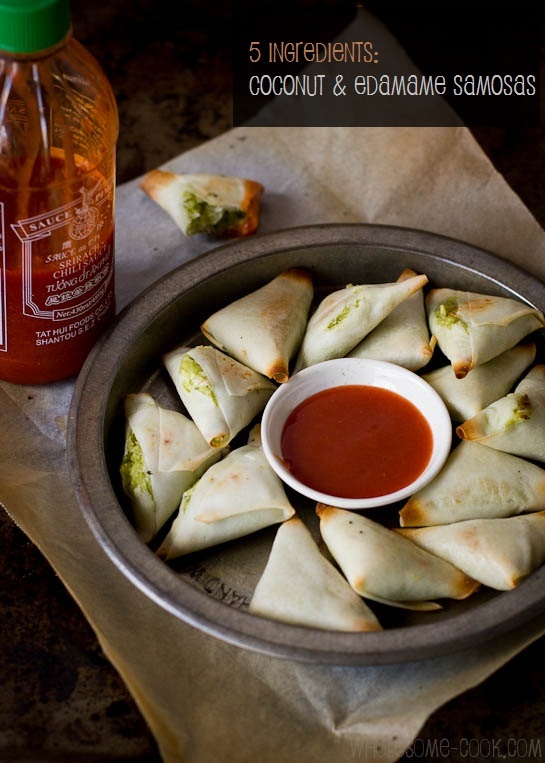 They are actually pretty easy to make, very yummy and filling too. I’m thinking of going back for the pizza and eggplant which I didn’t get to try (someone pounced on it before I got a chance LOL). Thank you Swah, I decided to recreate them because they were so out of the ordinary! 🙂 and yummy indeed.